And while inbound marketing theory and strategy remains constant, methods have inherently changed with the times. Content marketing is increasingly multi-channel – customers want to find you no matter where they are, and they deserve it. This means that while blogging is still a staple, your content marketing efforts must also include unique content on social media channels, forays into video and ephemeral media, and even curated user-generated content. So how do we reign in all of these options and create something effective and unified? Remember, the goal remains the same. Speak to the right customer, at the right time, about the right topic, in the right way… yes, it’s just as hard as it sounds. But we’re here to help. You’ve gotta keep it separated. 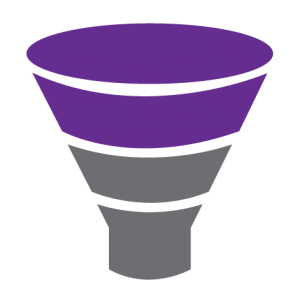 Today we will focus on one great way of organizing and creating content: by the stages of your sales funnel. 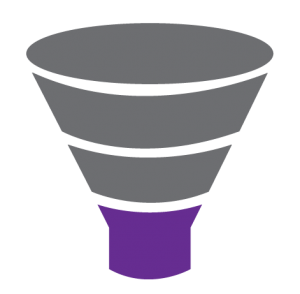 Depending on the industry, sales and marketing funnels may differ slightly, but the stages remain pretty universal: awareness, evaluation, and purchase. The following tips will help you create stage-specific content types, so that your content helps transform leads into satisfied customers and promoters. At this stage, your potential customers have discovered a need or a problem they want to solve. 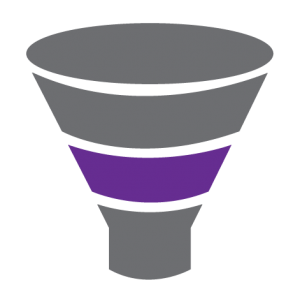 They may or may not be aware of your product or service; at this point in the funnel they are looking for information from a wide range of sources. Goal: to become searchable for a range of topics of interest. Ideally, someone who might benefit from your product or service will find you quickly with a simple internet search. Steady, relevant content flow will benefit you greatly in this stage, as it makes search engines more likely to find your product or service. 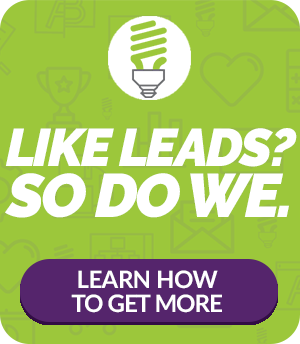 At this stage, your leads are aware of your product or service – and that it may help with their problem; they are doing more thorough research and evaluating whether or not your business is the right fit. Goal: to build trust with potential customers. Once trust is established, they are more likely to return for more information and consider your product or service when a problem arises. More detailed information about the need or problem your company solves is crucial at this stage. At the purchase stage, your leads are just about to make a decision. They have done extensive research, maybe downloaded a couple of your offers, and are still considering your product or service. You want your best content to be right there with them, making the final push. Goal: to nurture your relationship with this potential customer, making sure they have great information when a decision is made. Ideally, your content is accessible when they need more information and available when they have questions. Content at this stage aims to delight leads so much that they will not only purchase your product or service, but promote it for others. We hope this will help you get a handle on your content creation. If all else fails, concentrate on offering quality, valuable content – it speaks for itself. Content creation is a lot of work! Let us help. At Ingenex Digital Marketing, we aim to pave a clear path for you so that your efforts are more efficient and effective. Check out another helpful post about blogging mistakes to avoid, or feel free to contact us. Ingenex provides a wide range of digital marketing services to clients in the Detroit Metro area and beyond. We would love to hear from you.